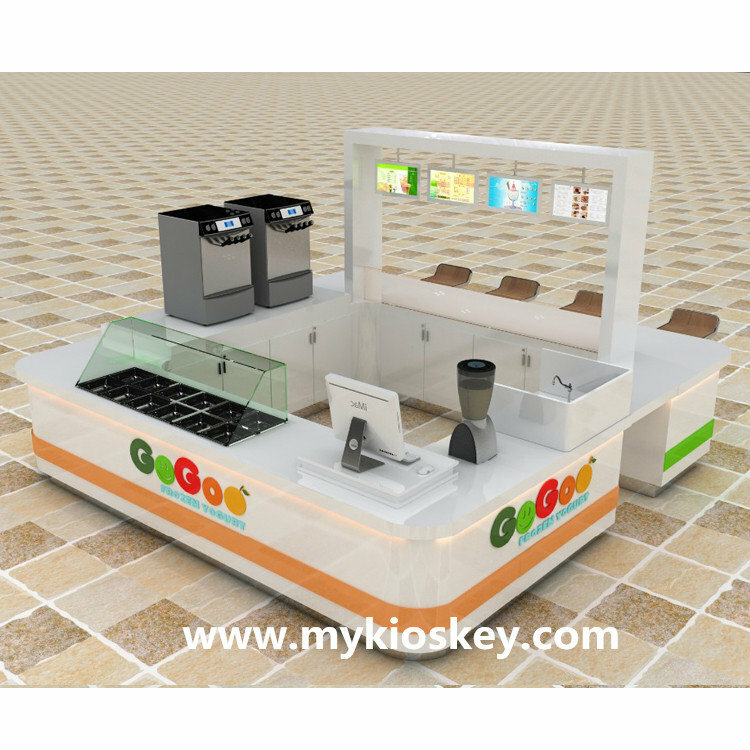 Warm welcome visit our page , we are a direct factory mainly do customized for mall kiosk and display showcase , we have done lots of food kiosk like this one before, such as juice kiosk, coffee kiosk, ice cream kiosk, bubble tea kiosk, milkshakes kiosk, frozen yogurt kiosk , fast food kiosk, snack kiosk , crepe kiosk, candy kiosk etc , all of them are customized according to our client’s requirement . 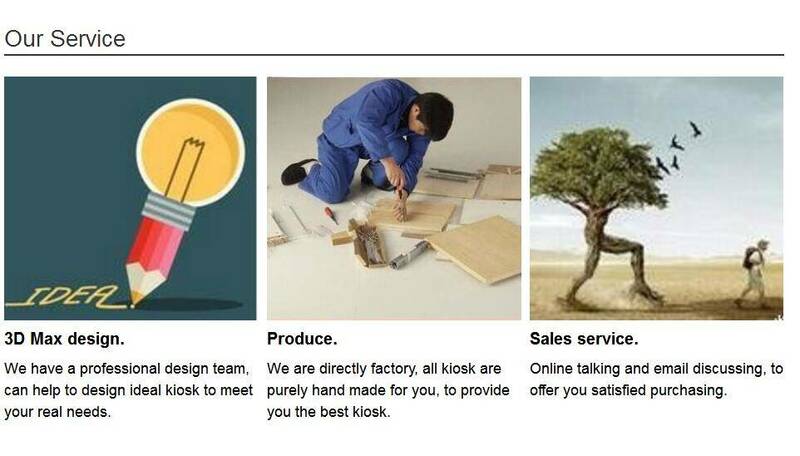 Material : MDF . 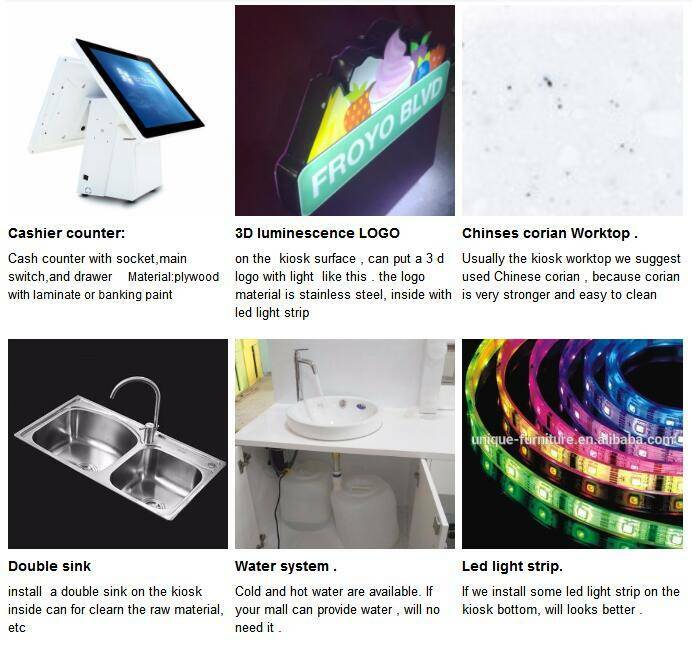 tempered glass , stainless steel . 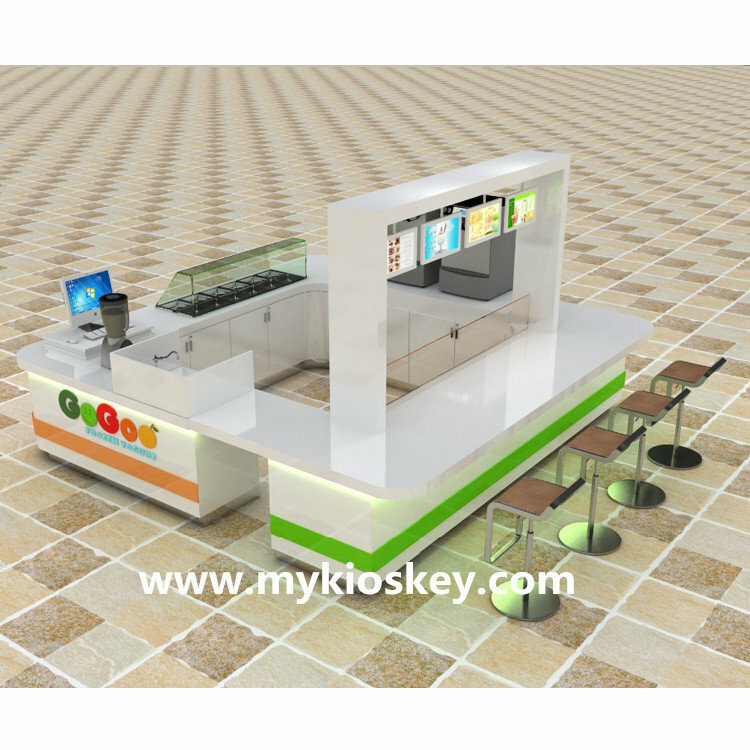 As you see this food kiosk, can for selling ice cream , juice , bubble tea etc , size about is 4m length by 4m width , mainly material is MDF , surface is white glossy baking painting finished , white man made stone worktop , stainless steel skirting on the kiosk bottom . 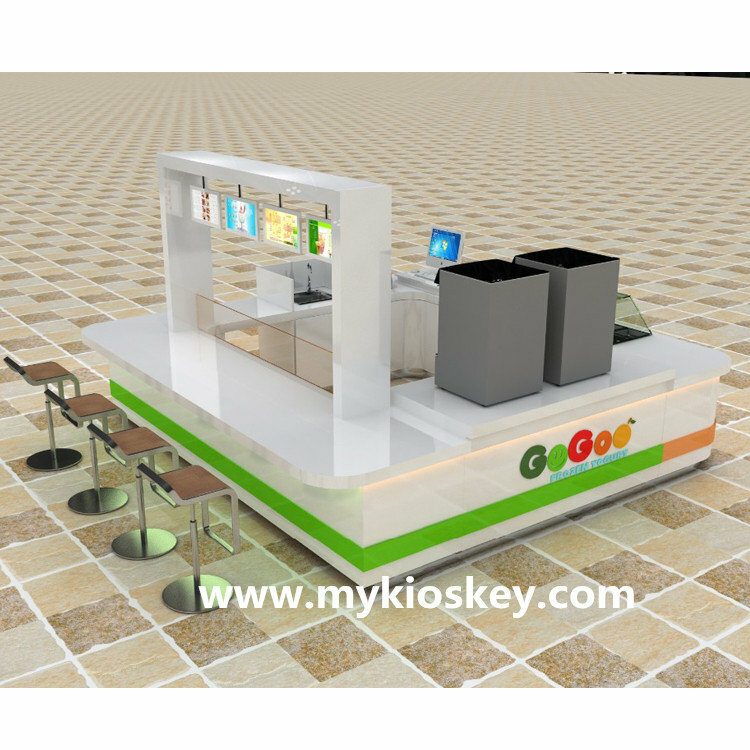 Thanks for your time and reading , if you need more info about this mall food kiosk , pls feel free to contact us , thank you !